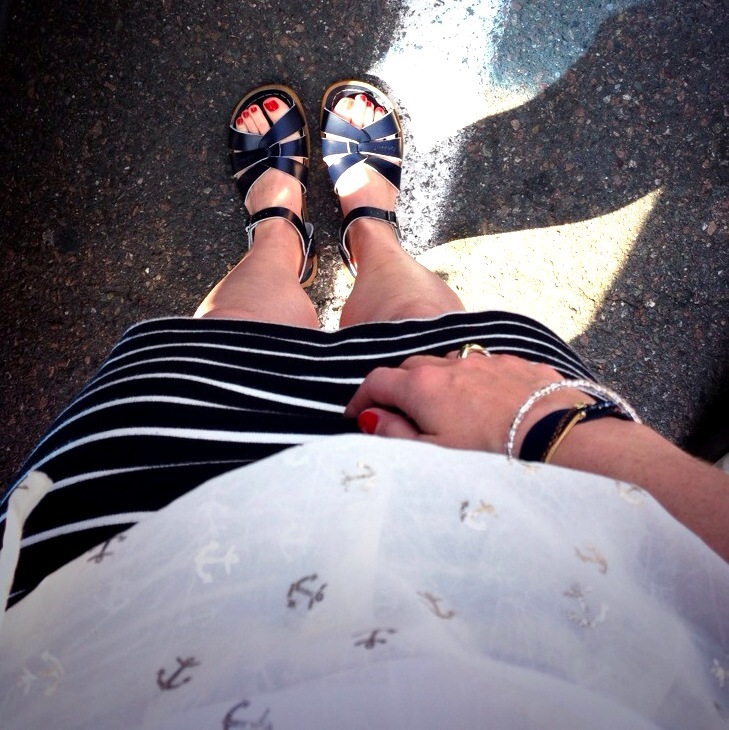 I wore my any season skirt this week with a cute nautical anchor top. 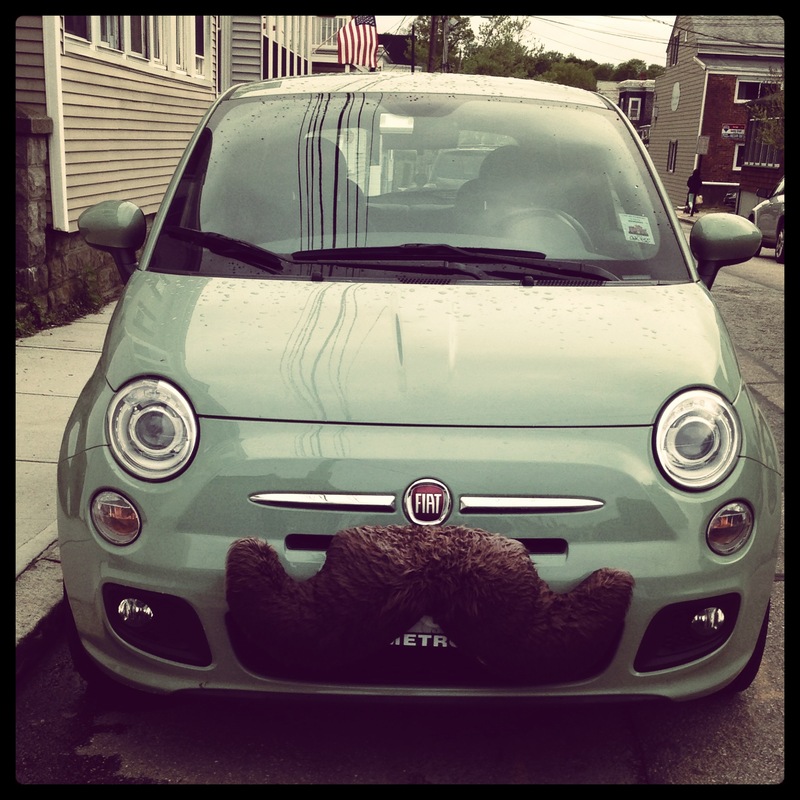 Mint green, mustached Fiat – cutest car ever! Did I tell you the mustache was made with actual hair? 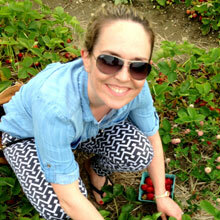 Strawberries are officially in season! 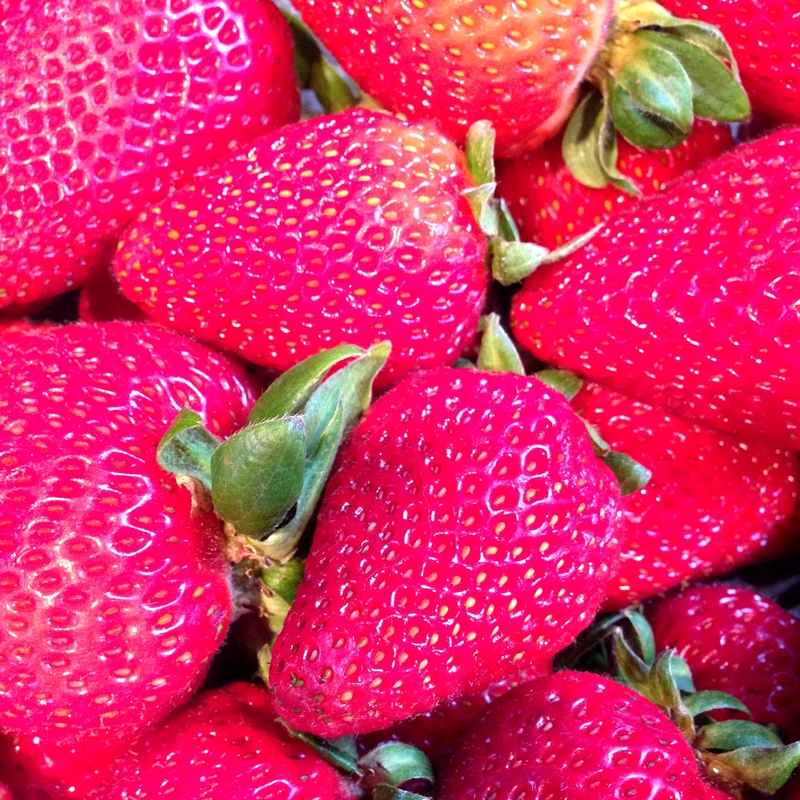 I think we’ll be making these strawberry shortcake cookies soon…. 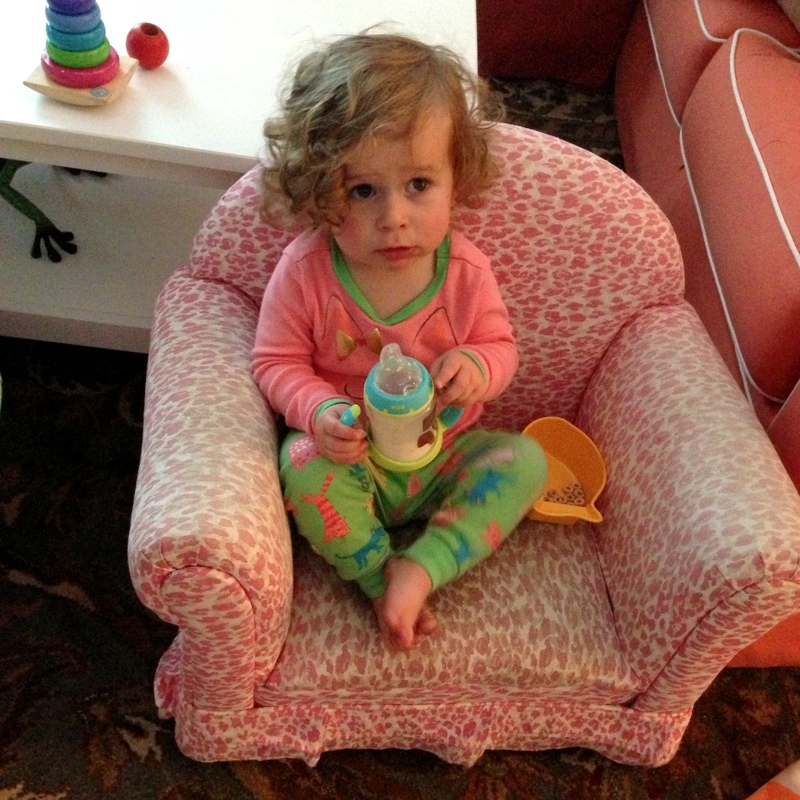 Over the weekend – watching morning cartoons while eating breakfast, a rare treat! 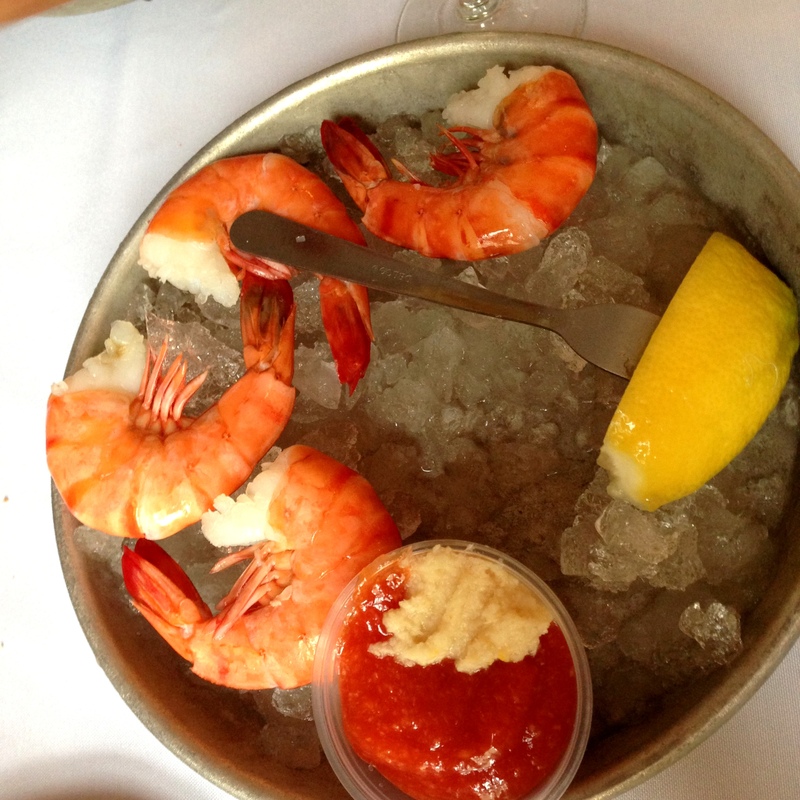 My mom’s birthday dinner shrimp cocktail. 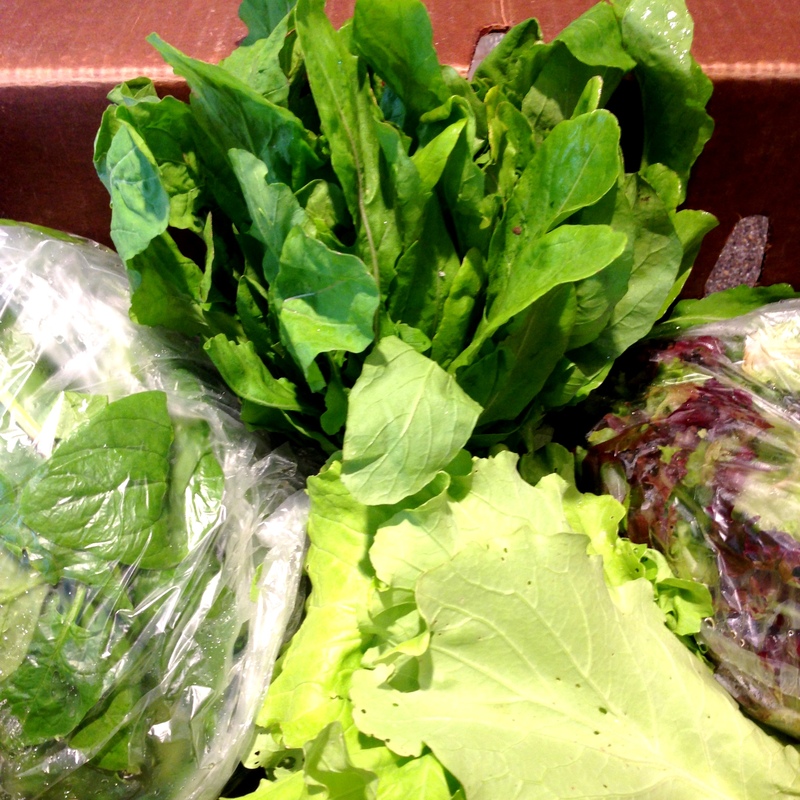 We had our first CSA pick-up of the season this week – lots of greens this week, looks like we’ll be eating some fresh salads! Then met some friends for cocktails and dinner. 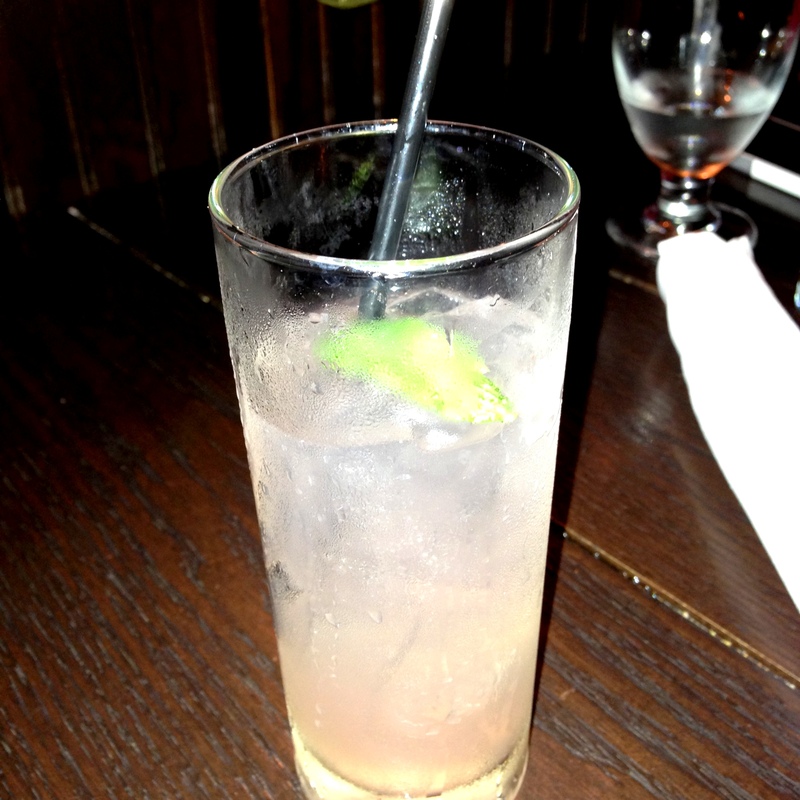 Our drinks took forever to get to us so we got the first round free…I’ll wait an extra 5 minutes any day for a free $12 cocktail! I’ve already declared that in place of regular denim I like to wear white jeans in the summer. But then I was perusing the internet and found these amazing, lightweight jeans and I think I spoke too soon! 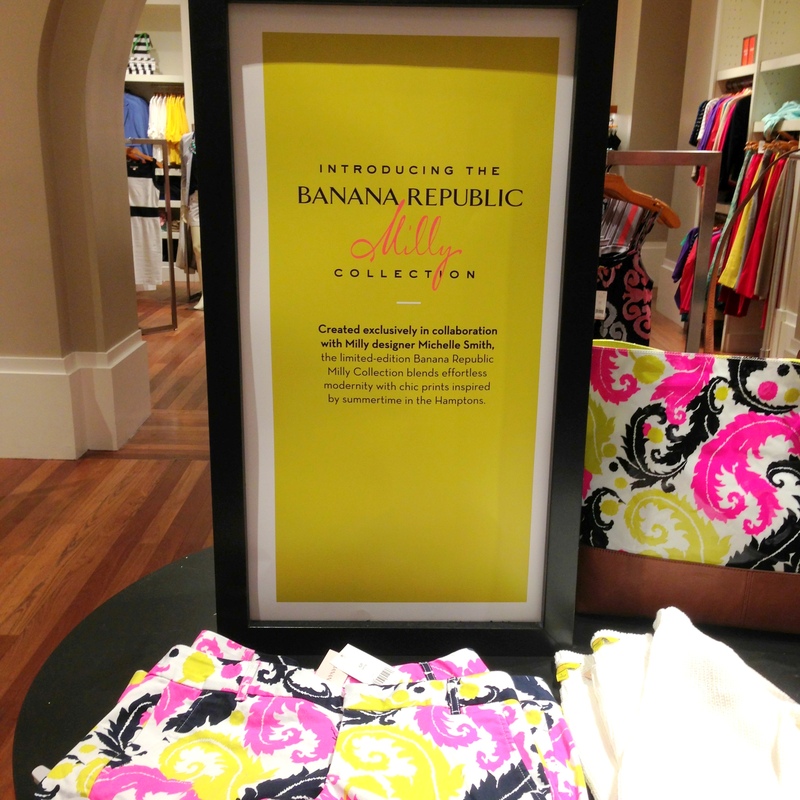 I love the pattern of these pants that from afar look like they might be a blue tribal pattern…but close up you see that they are in fact floral. There is also piping down each leg to give them a tuxedo pant effect. So original! I had to think of an outfit idea and share them with you, you may be surprised, but I went mostly neutral to let the pants really shine. Let me know what you think and if you’d wear these pants in place of your heavier denim for summer. 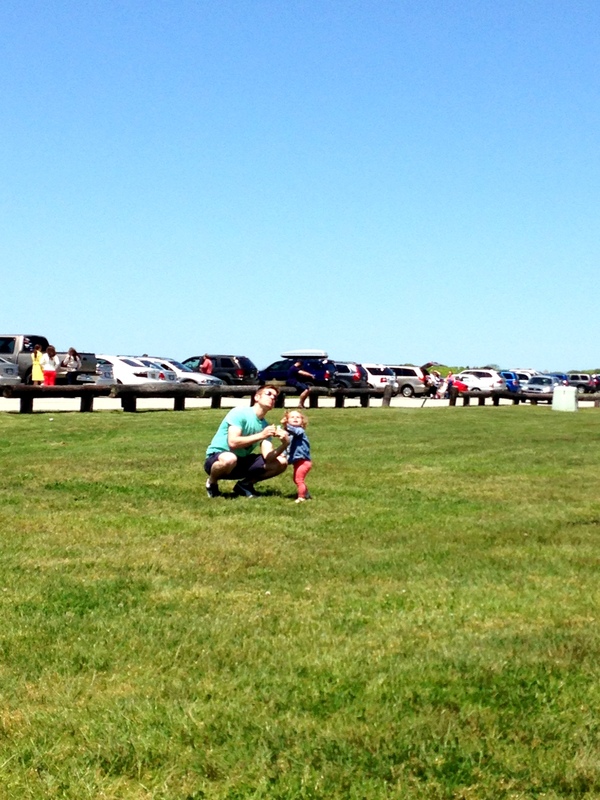 How was your Memorial Day weekend? It was a wash-out around here but – by Sunday the rain had stopped and by Monday the sun had come back out! 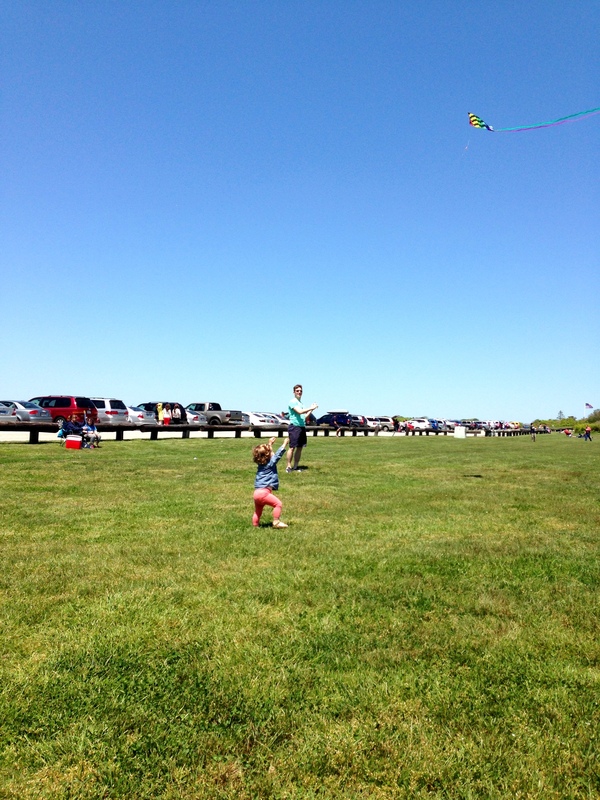 We celebrated the sun with a little trip to Brenton Point Park in Newport, RI – the best kite park around, according to me and probably quite a few others. 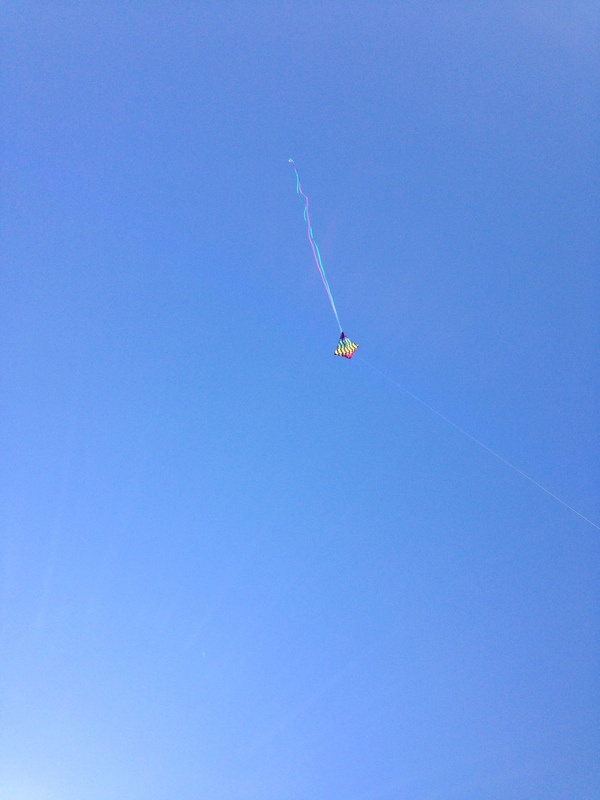 We picnic at this park in the summer but this time we decided to fly our own kite too, since our Z is big enough to have fun with it. 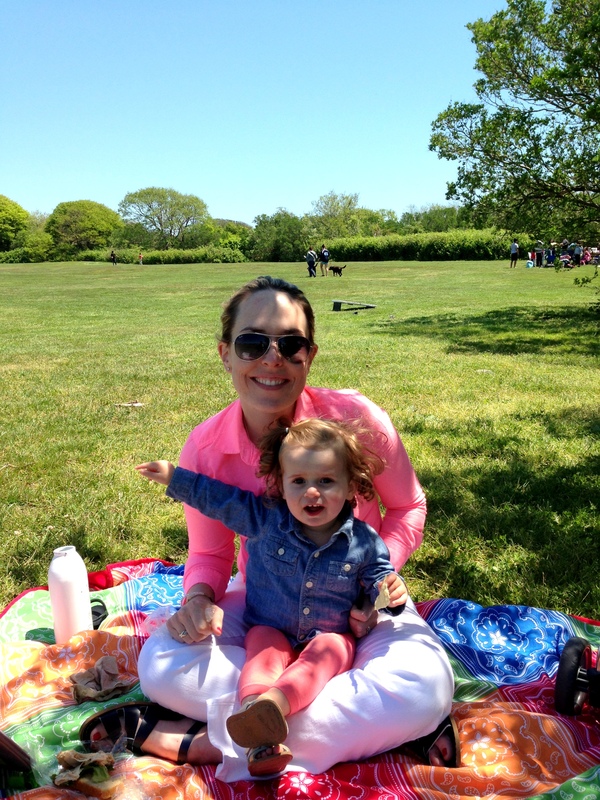 We started off with a little picnic lunch, but our Z was chomping at the bit to get flying when she saw all the other kites at the park. And then when it got up she pointed, squealed, and really wanted it to come back so she could play with it. 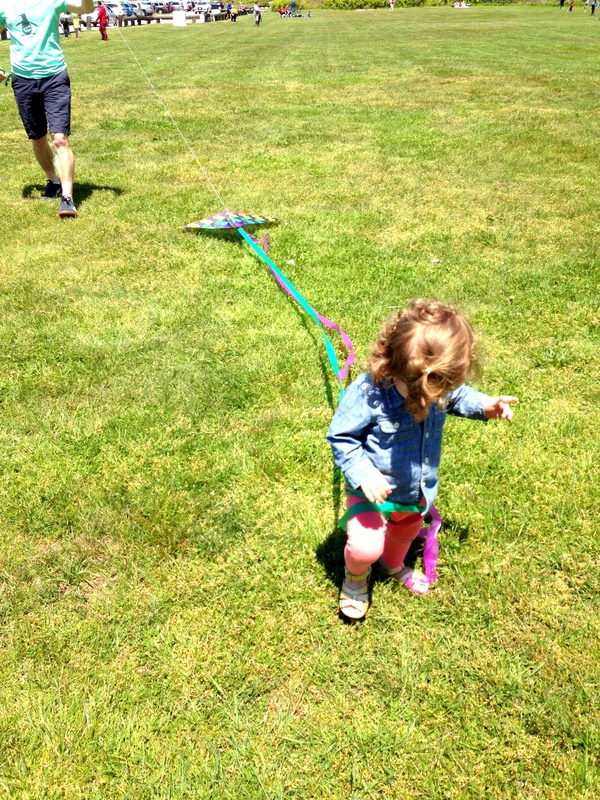 Then Daddy brought the kite down and…oops, tangled. Fun afternoon! We made these pork tacos last weekend and I am finally sharing the recipe with you which we found in the Food Network magazine. We like tacos in this house (who doesn’t, really?). But lately we’ve been making more traditional tacos because my husband loves meats cooked low and slow and/or braised and I am most willing to try meats cooked in this way when it’s wrapped in a tortilla with yummy toppings. We’re a match made in taco heaven, I tell ya! 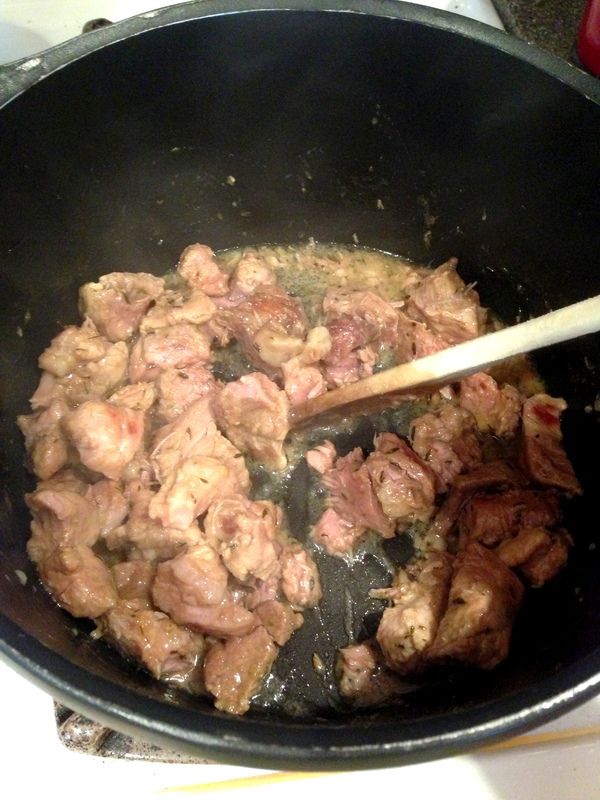 Braise your pork in juice of 2 limes, 1 orange, 1C water, 1/2C oil with spices (5 cloves garlic, 5 sprigs thyme, and 2 bay leaves). Bring to a simmer, then cover, reduce heat to low, and cook for one hour. Take lid off and cook for another 1 hour, 15 minutes. Then, increase heat to medium and cook another 35 minutes or so until all the liquid is gone. 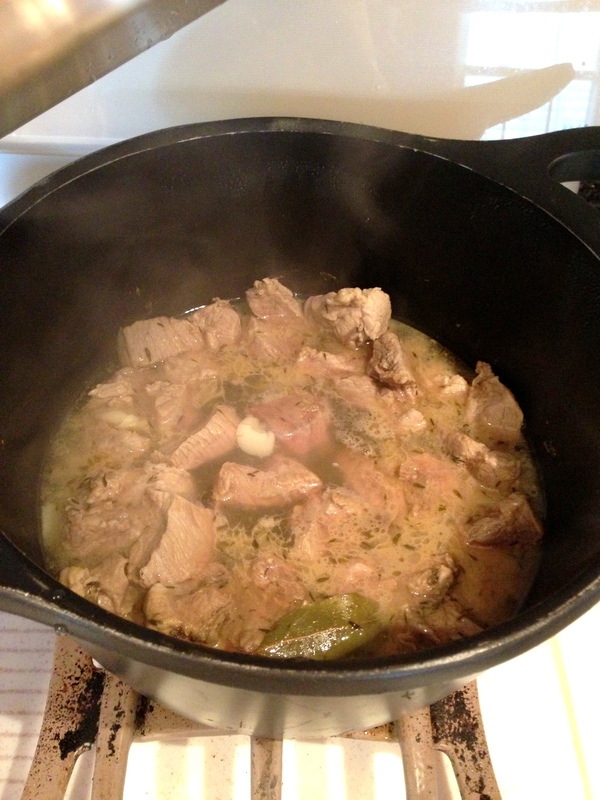 Once the liquid has evaporated, turn the heat on high so the pork starts to fry. 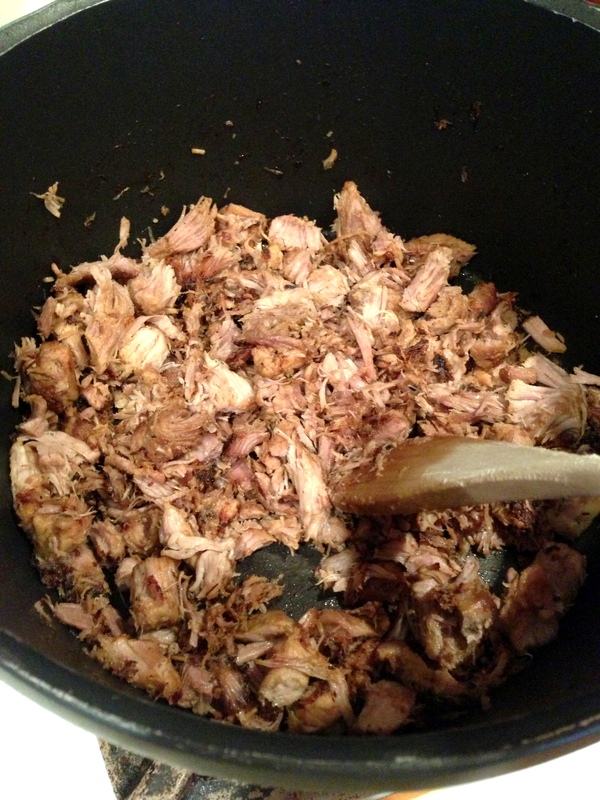 Cook for 10 minutes or so until the pork is golden brown and slightly crispy….so good! 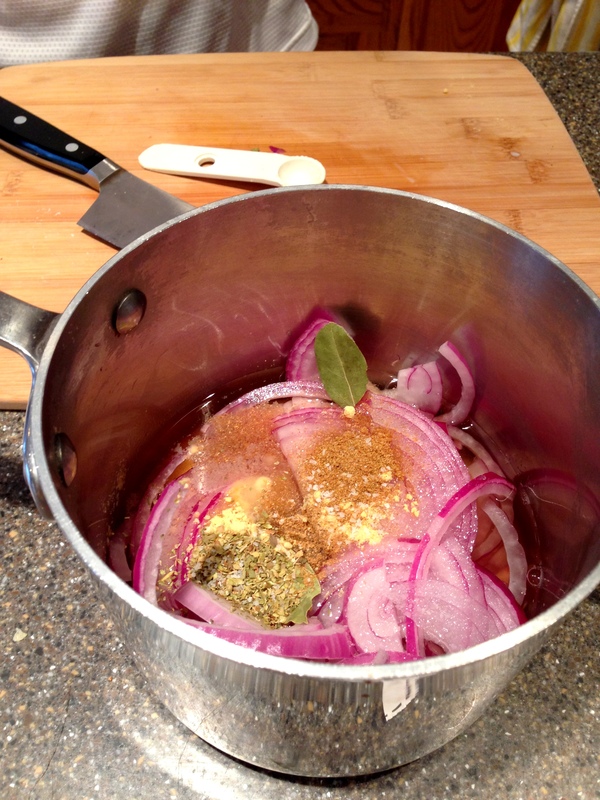 For the pickled red onions combine thinly sliced onions with 1C cider vinegar, 1/2C Water, 2Tbs sugar, 2 bay leaves, 1Tsp each coriander, mustard and cumin seeds, 1/2 Tsp dried oregano, and 1/4 Tsp salt in a saucepan. Boil for 2 minutes and let cool before serving. 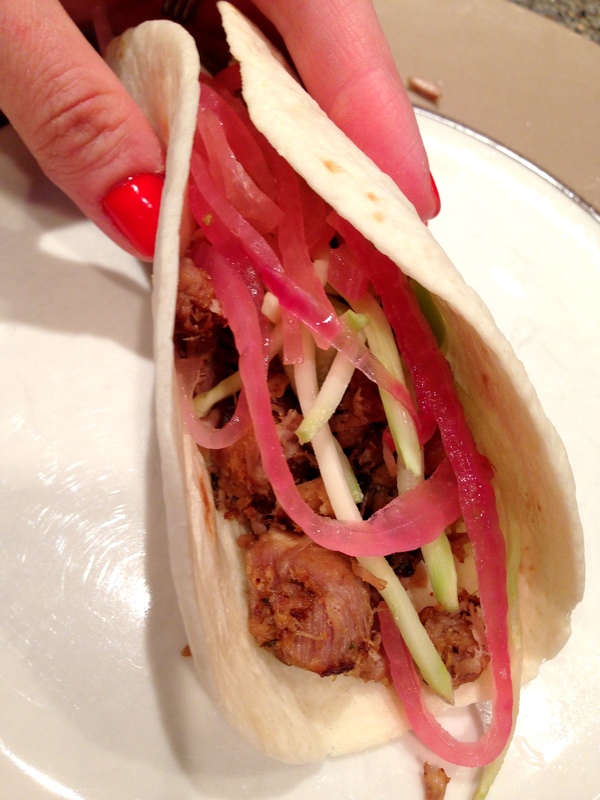 I’m telling you – the crunch of the pork with the pickled red onions is so good. Enjoy! I hope your unofficial start to summer today is great – even if the weather is more like rainy spring, not sunny summer. I’ll still be wearing this! 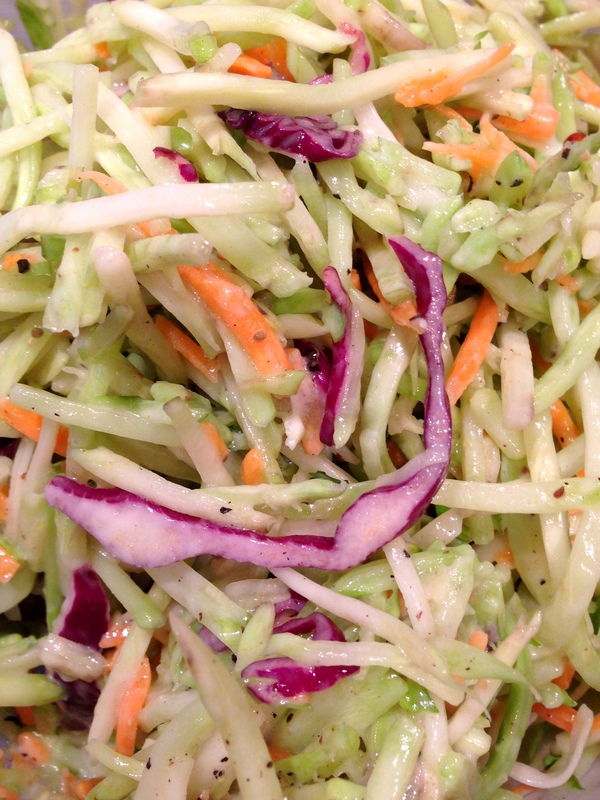 And we made our basic cole slaw this weekend, the perfect summer cookout food, only this time we used a bag of shredded broccoli and carrots we found at our grocery store in place of the cabbage. And don’t forget what this day is really about – honoring those men and women who have died while serving in the Armed Forces. To them I say thank you! 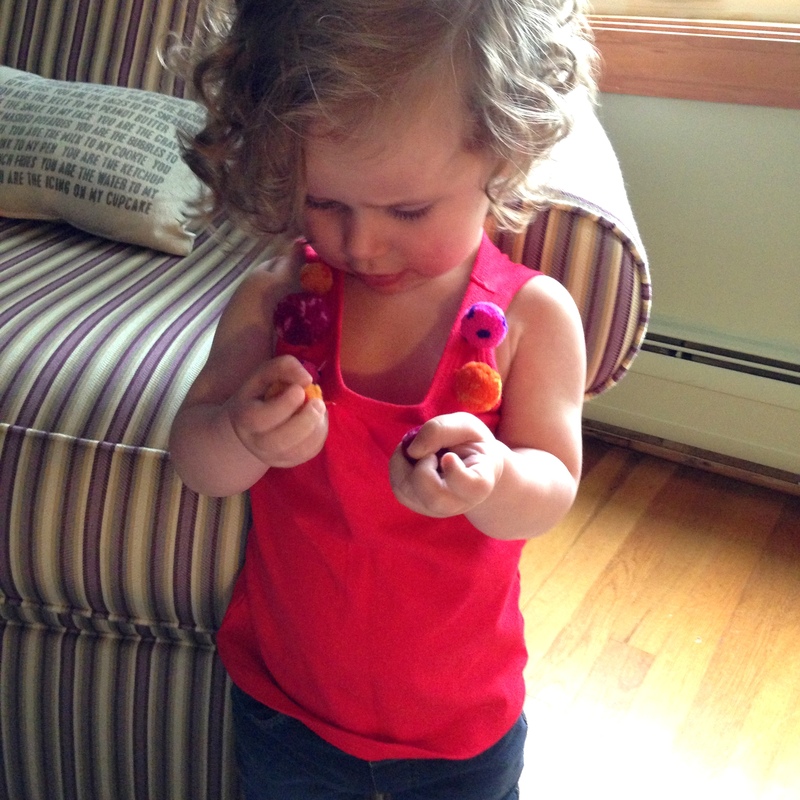 Z loves her pompom tank, but I am not sure how long those pompoms will actually stay attached. D’oh. 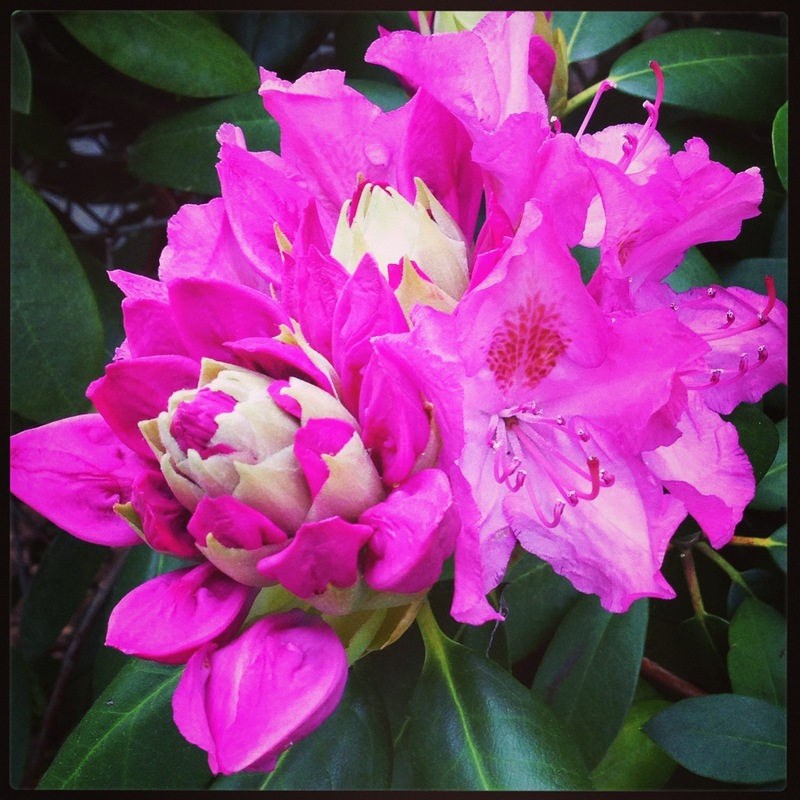 We have 2 really nice, large rhododendron plants in our yard and they suddenly bloomed earlier this week! We went to a 30th birthday party Saturday night where the drinks were strrrrrong. 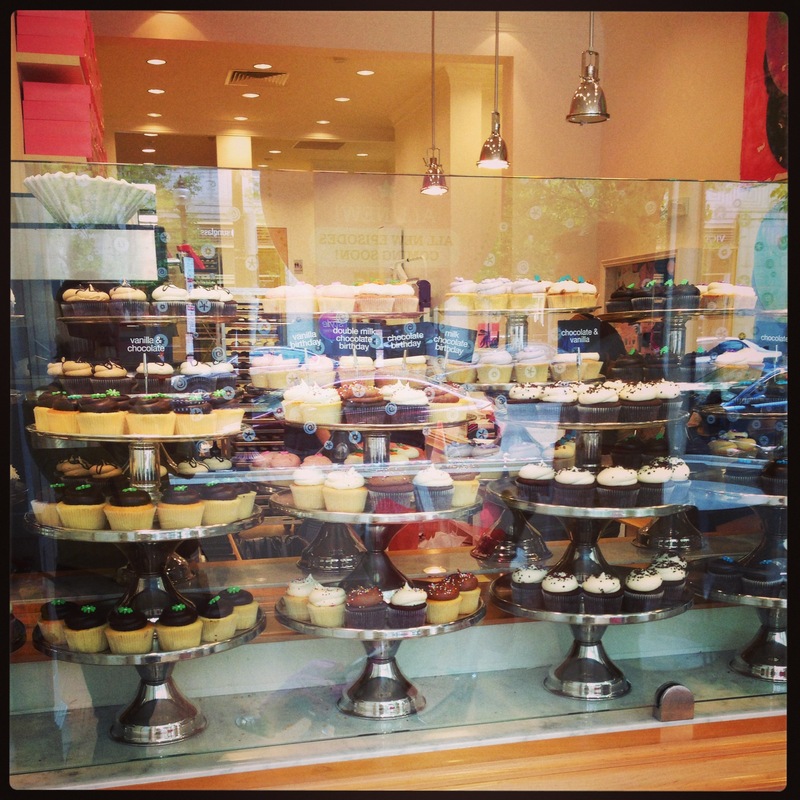 We decided Georgetown cupcakes would help us feel better the next morning. 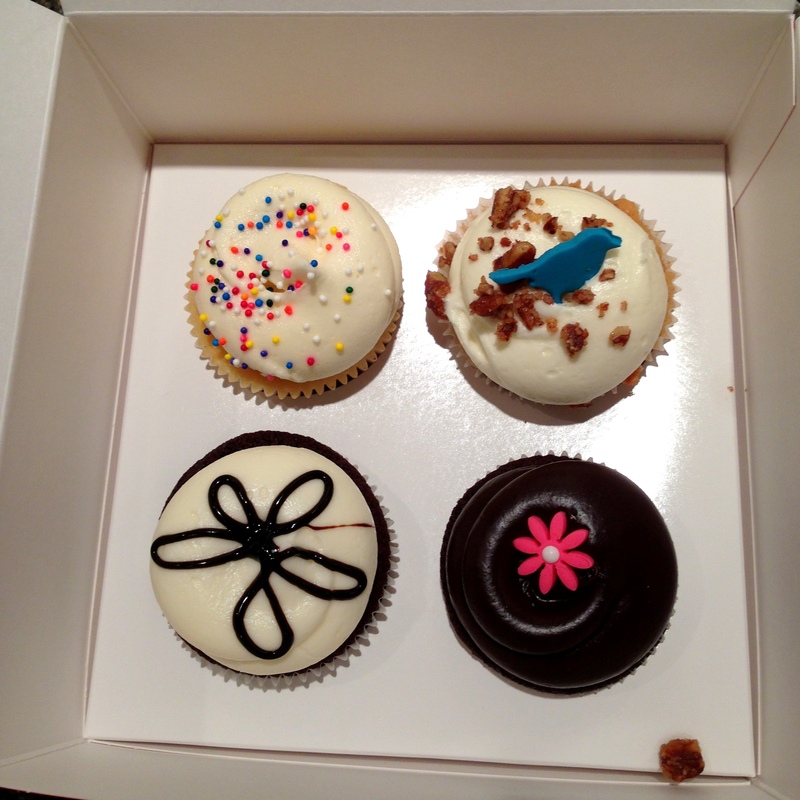 We tried vanilla birthday, hummingbird (banana bread cupcake w/ cream cheese icing! ), chocolate squared, and lava fudge. 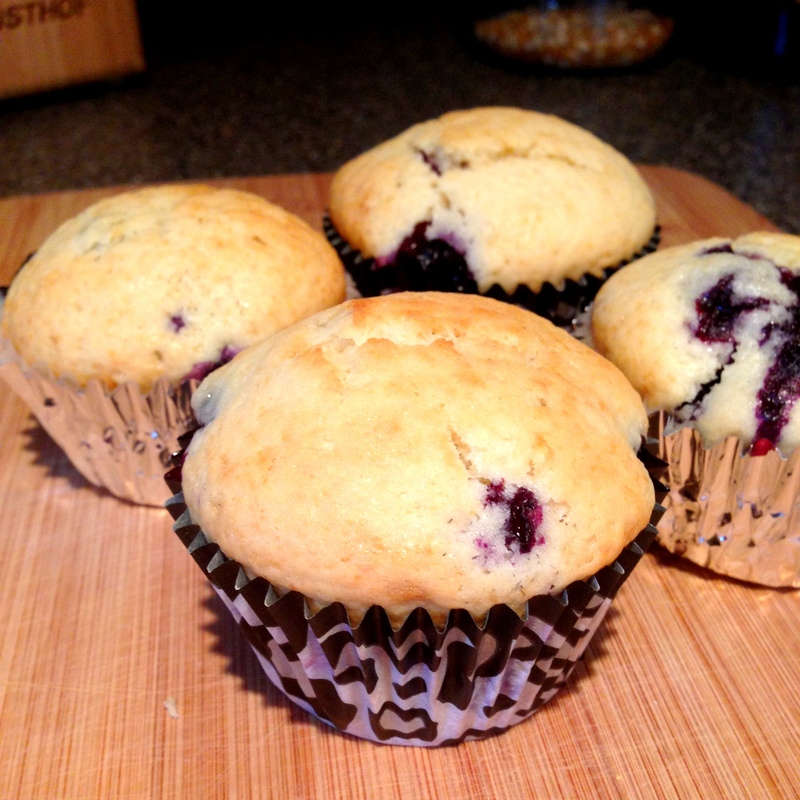 Since blueberries are in season, we made some yummy muffins from our favorite recipe. 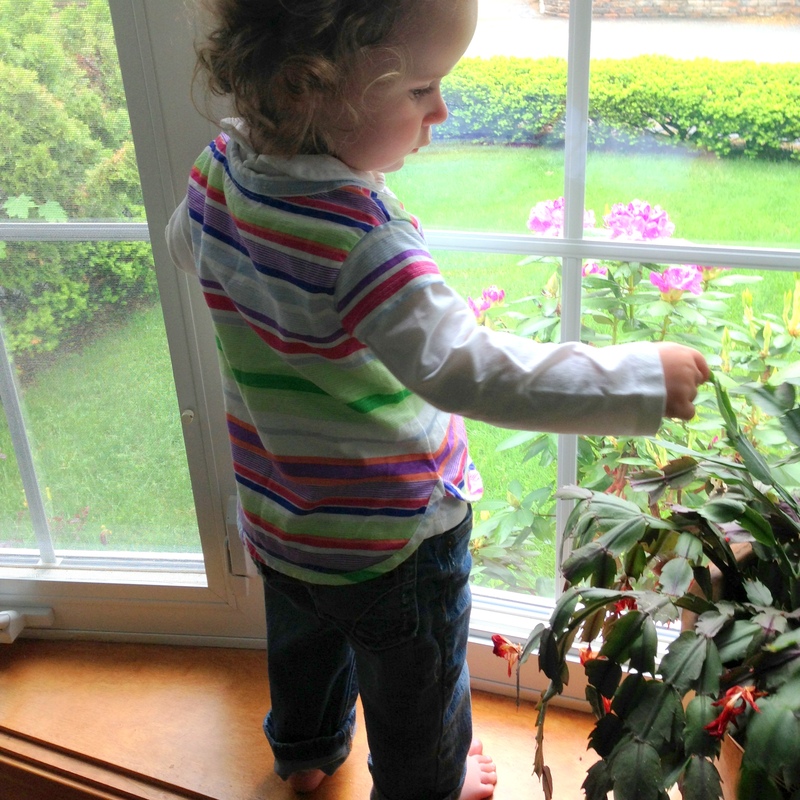 Lately, Z loves to stand on our bay window, look outside, and play with our Christmas Cactus. 1. kate spade Saturday‘s Skinny Rectangle Bracelet. How cute is this? And it comes in six different colors; 2. Of course Alex and Ani bracelets are perfect for layering, I have one similar to this one with my Z’s birthstone; 3. Anthropologie‘s Marina Wrap bracelet. I love that this is so delicate! 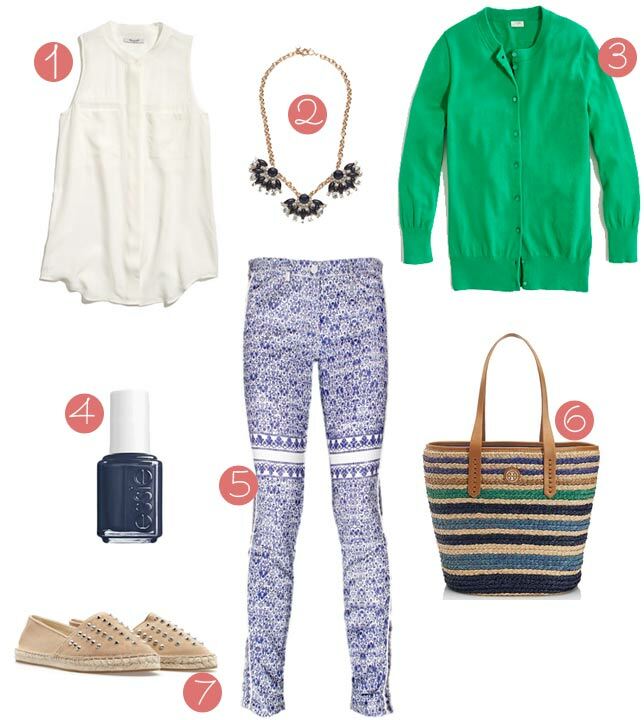 And it’s a nautical theme, which I think is perfect for summer; 4. Jewelry from Dogeared is so delicate and simple it’s made for layering. Here is their classic and bestselling Karma bracelet; 5. 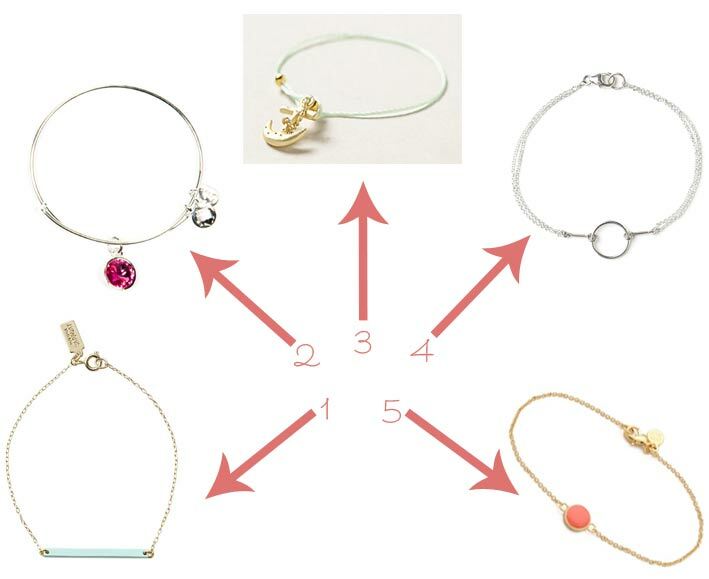 Shopbop has a huge collection of delicate bracelets, if you’re in the market. I love this Bloom Disk Bracelet from Gorjana with a tiny bit of color.